← Baggy Eyelids: The Most Common Solution. When you were a kid you always found vegetables disgusting and hated them, most kids do anyways. As you got older some grew on you and some didn’t, but vegetables should be a part of everyone’s diet. No matter how disgusting you thought vegetables were as a kid, or even as an adult, they have nothing on these 7 strange and disgusting foods that are actually extremely healthy for you. Some of these may make some people sick just thinking about them, but these foods are popular in many parts of the world, and the nutritional value found within each one easily justifies why they are eaten and loved by so many. Wheatgrass is an extremely healthy superfood that is usually ground up and drank as a juice, it can also be bought in a powder form that can then be used to make the wheatgrass juice. It has an extremely bitter taste, and it is definitely an acquired taste to people that like it. 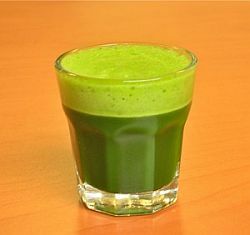 Most people that use wheatgrass as a nutritional supplement do not like the taste and many try to find ways to alleviate the bitter taste, many people mix it with different fruits and make smoothies and other drinks with things that will help hide the taste. Wheatgrass is healthier for you than almost any vegetable you can eat, and it also helps to clean the toxins out of your body. If you can handle the taste and are looking for a great addition to a healthy diet then wheatgrass is a great way to go. Marmite is a spread that is made from yeast extract and became popular in the early 20th century. It is very popular in parts of Europe and also throughout Australia and New Zealand, but it never became a big favorite in the United States except among some vegetarians and vegans. 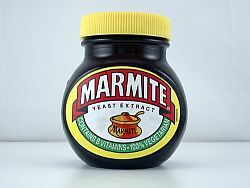 Marmite is a pasty substance so it usually eaten by being spread on crackers or toast and they say it has a salty and bitter taste to it. Just like wheatgrass there are many health benefits of marmite, and some people eat it only for the nutritional value, but there are many that do actually enjoy the biting taste of marmite. Depending on how it is made the nutritional value can change, but it is a great source of protein and also has many other vitamins. If you try marmite there are two different kinds you can try, the British version and the version that was made popular in New Zealand. The two of them each have their own unique taste because of how they are made, but both are bitter and salty. 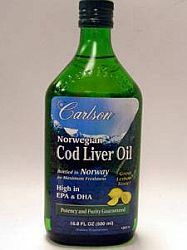 Cod liver oil is another nutritional supplement that is somewhat disgusting to most people but is also extremely healthy because of all of the vitamins and minerals contained within. The name alone turns many people off to this supplement, but those that can handle the stuff swear by it and all of the nutritional benefits of using cod liver oil. Since it comes from the liver of codfish it smells like fish and is also extremely oily, just like the name would have you believe. Nowadays you can buy cod liver oil in gelatin pill format so you can get the nutritional benefits from it without having to actually drink the oil. Drinking the oil is the healthiest way to use cod liver oil, but many people cannot handle the pungent smell, the flavor, or the consistency so they choose the gelatin pill version. Cod liver oil is loaded with vitamins, especially vitamins A and D and it is great for helping to relieve symptoms associated with arthritis and other bodily aches and pains. It is also sometimes used in the long term treatment of MS. 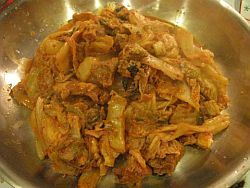 There are a few different spellings of this strange fermented Korean food, to most people it is a pretty disgusting food but in Korea it is very popular and people love it. It is also very healthy for you. Kimchee is made from fermented vegetables, usually cabbage or radishes, but there are many different types of Kimchee so the taste and nutritional value can change even though all the different variations of the food are good for you. Kimchee has been a popular food in Korea for a couple thousand years now and it has become popular in many other parts of the world as well due to immigration and tourism. The nutritional value of Kimchee is wonderful, a serving provides your body with a full days recommended amount of Vitamin C as well as carotene. It is also loaded with a high concentration of dietary fiber with minimal calories. One would expect this to be good for you anyways considering it is made from various fermented veggies. Mmmmm, calf liver sounds so appetizing! Eh, not really but people do eat it and it is extremely healthy for you no matter how disgusting it sounds. You wouldn’t think it would be since the liver captures many of the bodies’ toxins, but it really is one of the healthiest yet disgusting foods you can consume. Calf liver has been something that people in certain parts of the world have been eating for hundreds of years and it has been found in cookbooks dating back to the early 19th century. Nowadays most people that are willing to eat it know the high nutritional value of the calf’s liver and that is why they eat it, in some countries it is considered a delicacy though. There are many that have been raised on it that don’t quite realize how good it actually is for them. 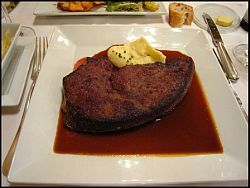 In fact a calf liver is one of the healthiest things you could possibly consume. It is loaded with protein, Vitamins A and B, as well as many different minerals that are good for you. It does have a lot of cholesterol which is the only bad part, but when it is eaten sparingly the nutritional value far outweighs the bad cholesterol contained within. Here is another highly nutritional food that just sounds totally disgusting, but this is also considered a delicacy in many parts of the world. It is exactly what it says it is, brains! People eat many other parts of the cow, so why not eat the brains as well, especially when it is so good for you. 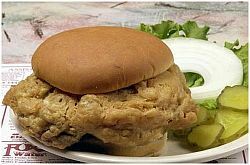 It can be prepared in many different ways, such as a burger like pictured above or even sautéed with some onions, mushrooms and peppers. Many people even make soups and stews from the cows’ brain. Beef brains have a weird texture, it is said to be very mushy as you would expect and it is also stated that beef brains alone have practically no flavor, so the taste can be altered with various spices and herbs. The consistency is something many do not like, and just knowing what it is turns many people away from this healthy food, but the countries where it is a popular dish know that it is very good for you and they have found ways to make it an enjoyable dish to eat. The cow brain is loaded with vitamins and minerals and that is what makes it a healthy choice, but if not prepared right there is a rare chance that it could make you sick. There have been very few cases of people getting sick from eating the food, and the nutrition contained within far outweighs the rare but possible bad effects of the beef brain. Yet another food that just sounds disgusting, but it is another popular and healthy food. Blood pudding, also called black pudding or blood sausage, is very popular in parts of Europe, especially in places like Ireland and Scotland where it is a staple of their diet, especially on special occasions and certain holidays. 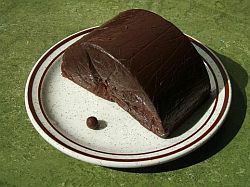 It is also a popular delicacy in other parts of the world, but many people think of Ireland and Scotland first when they think of blood pudding. Blood pudding is made from dried blood that comes from many different types of animals, the most popular animals blood that is used for blood pudding are usually cows or pigs but it does vary depending on the country. Some places also use goat blood or even duck blood to make this scrumptious delicacy. Many people say it does not taste much different than normal sausage, and usually it has stuff added in to alter the flavor. Some people use different fruits like raisins while others may use things like onions and peppers to give a better flavor. There are many ways it can be prepared across the globe and the proteins, vitamins, and minerals found within are really good for you. It is not hard to understand the nutritional value of the food because it is made from blood, and as everyone knows blood is what gives us life in the first place. If you like to try new things and can get past what it is actually made from it is definitely worth trying. Just like any of the other foods in this list, you never know until you actually try it. This entry was posted in Nutrition, Nutritional Information and tagged healthy eating, healthy foods. Bookmark the permalink.